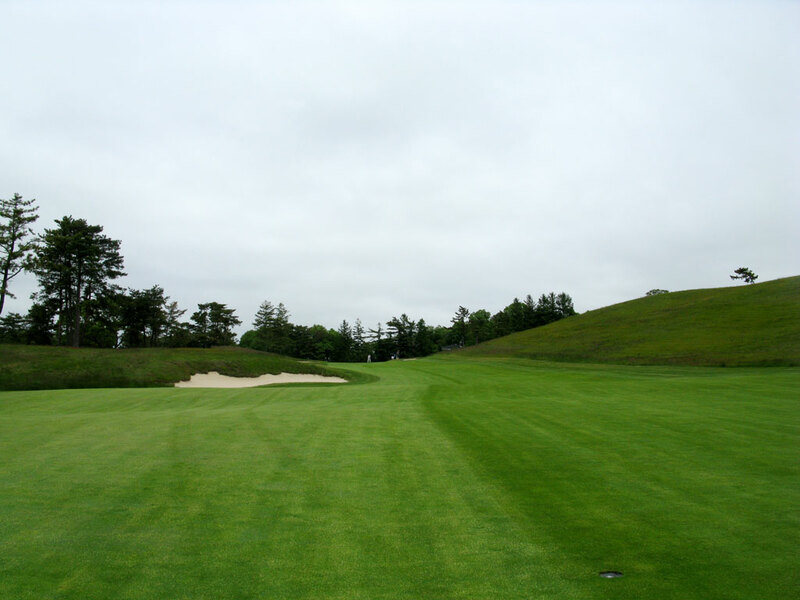 Course Website: Official Website - Visit Shinnecock Hills Golf Club's official website by clicking on the link provided. Accolades: Ranked 3rd in New York on Golf Course Gurus' Best in State list. 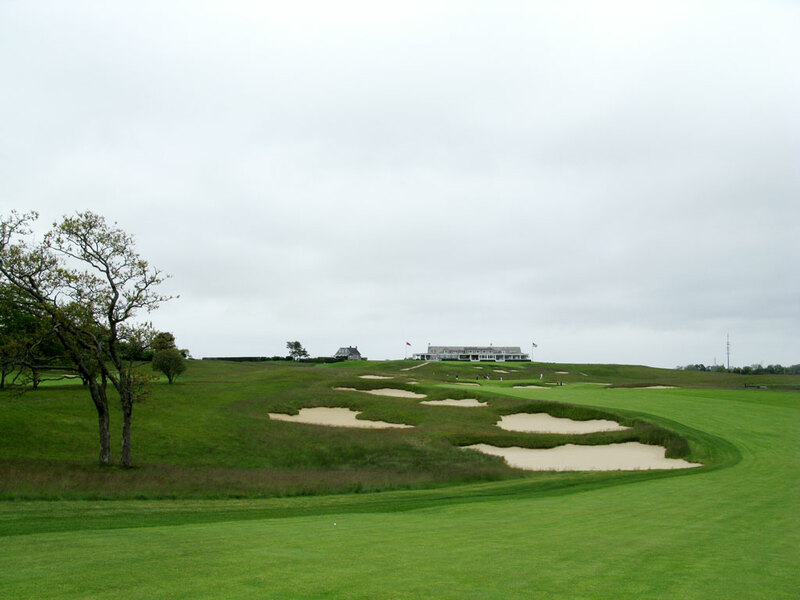 What to Expect: Shinnecock Hills is one of the few 'pure' golf experiences one can have. 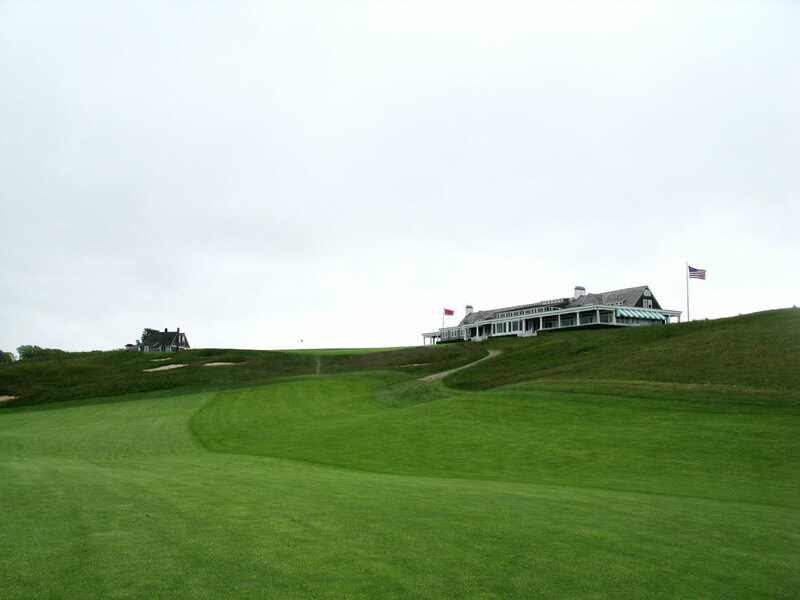 It is one of the most historic courses in America and became the first 18 hole track in the states back in 1895. 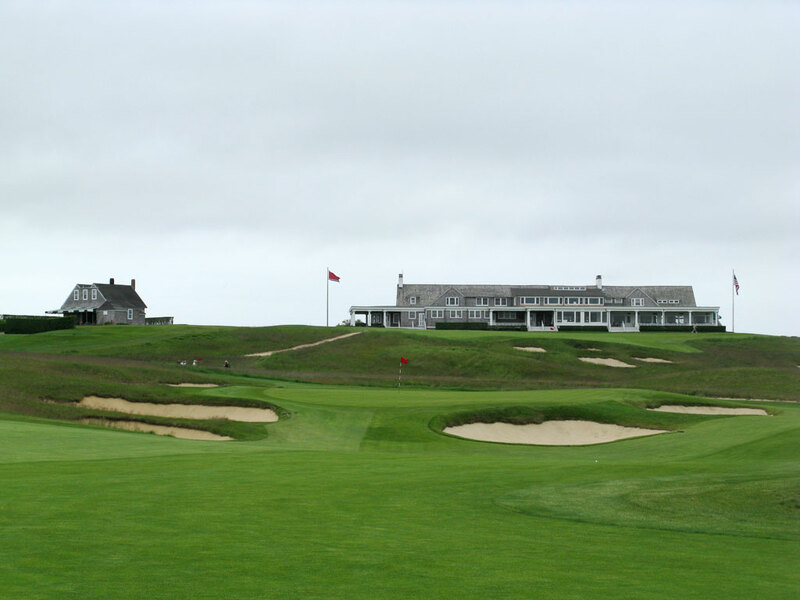 While the debate of which course is the finest in America is endless, you'll find plenty of arguements being made for Shinnecock. The course flows over natural rolling terrain and promotes its links layout with fescue grass and just a single water hazard. Many tout the back nine as the best back nine in golf, and if the finishing hole on the back nine were as good as the finishing hole on the front nine it would be tough to argue against it's absolute greatness. The fescue demands that you play from the fairway if you want any chance of posting a good score and taking advice from your caddy while on the greens will prove to be beneficial to understand the subtleties. Signature Hole: 7th Hole – 194 Yard Par 3 – (Redan) - The famous Redan hole at Shinnecock Hills is an icon for golf course architecture junkies. The small green tilts from right to left and proves to be the most difficult Redan we've played to date due to the small putting surface. 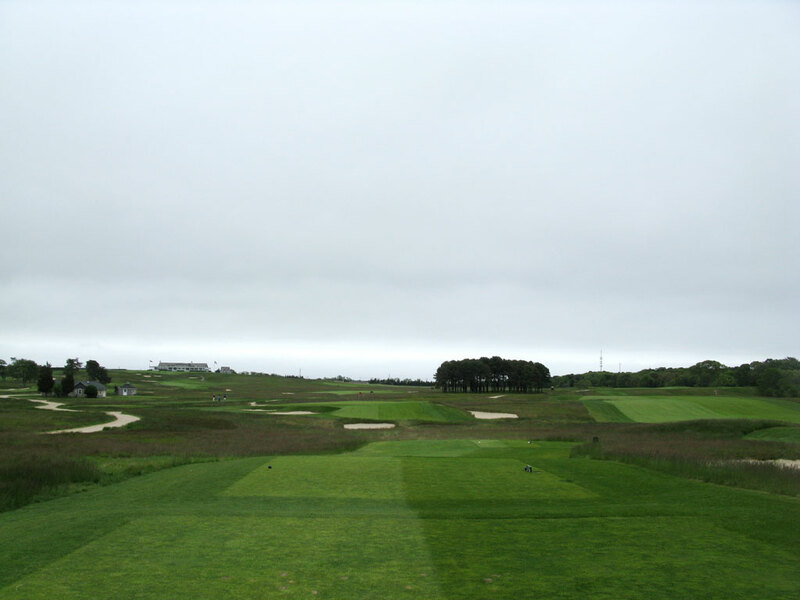 During the 2004 U.S. Open this green was cursed by many of the players because it was so small and firm that players almost couldn't find a way to keep it on the green. As much of a signature piece as any hole on Shinnecock, the clubhouse is an exceptional display of architecture and golf history. The attractive structure houses an intimate locker room and boasts an impressive porch with expansive views across on of America's finest golf clubs. 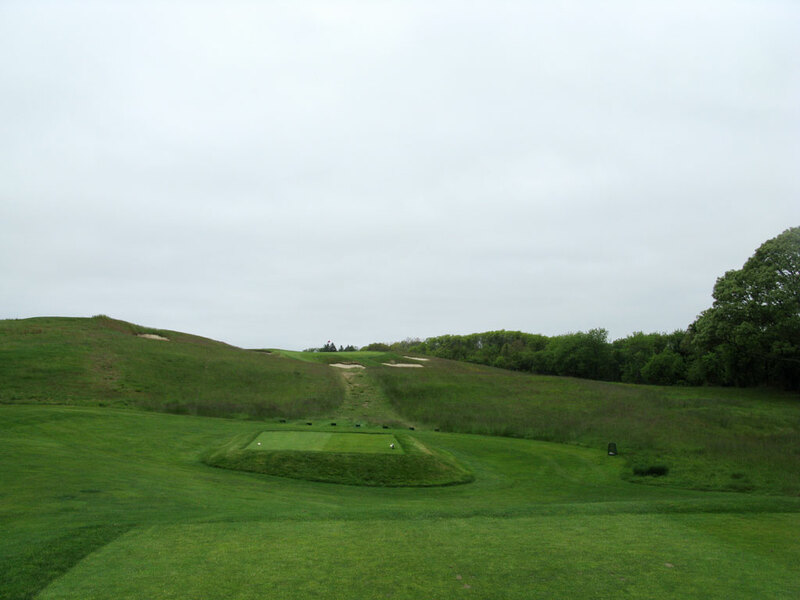 Best Par 3: 11th Hole – 154 Yards – (Hill Head) - Many would argue that Shinnecock's 11th hole is the finest uphill one-shotter on the planet and you won't find me disagreeing with them. While missing the green short right and finding one of the three bunkers appears to be a bad miss, it is trumped by a shot that goes left or long-left. The green is very deep, but not very wide and runs hard back towards the bunkers, therefore it is a tricky up and down from a less than desirable lie when sitting left of this green site. Best Par 4: 9th Hole – 443 Yards – (Ben Nevis) - This hole is one of the exceptional two-shot uphill holes in golf. With the impressive clubhouse looming above, this dogleg left hole plays back uphill and to the right slightly while the fairway is kicking balls back to the left. With fescue and bunkers surrounding the green site there is no safe play to miss. To the right of the green is a tightly mowed chipping area that takes a soft touch as the green runs away from the player quite hard. Named Ben Nevis after the tallest mountain in the British Isles, you'll see just how big of a climb it is to go from the bottom of the fairway to the peak of the green. Best Par 5: 16th Hole – 544 Yards – (Shinnecock) - Another exceptional hole, the 16th holds the courses namesake and features beautiful bunkering and a soft triple-dogleg routing. With five bunkers sitting on the corner of one dogleg and an additional ten bunkers located by the green (20 bunkers total on the hole), this hole is very difficult to reach in two. However, Flynn afforded a thin strip in front of the green where a ball could chase up between bunkers and find the putting surface in two shots as the author was fortunate enough to do. The views, bunkers, and flow of this hole make it an exceptional experience to enjoy. I ended up with an eagle putt on this hole, click here to view a video. Birdie Time: 8th Hole – 402 Yard Par 4 – (Lowlands) - The tame 8th hole can easily be forgotten amongst the fantastic grouping of holes located on the front nine at Shinnecock. After just walking off of Redan, the golfer is presented with a relatively easy hole that features a soft turn to the right. Most golfers with have a wedge or low iron in their hand for the approach shot to this very approachable green. Bogey Beware: 14th Hole – 449 Yard Par 4 – (Thom's Eldow) - It was extremely difficult for me to decide between the 9th and the 14th hole as the best par four at Shinnecock and since the 14th was tougher I thought I could get away with featuring it as the "bogey beware" hole and kill two birds with one stone. This demanding hole hosts two features I enjoy seeing; a downhill tee shot and an uphill approach. The fairway snakes beautifully through the fescue up a natural valley to a large green. 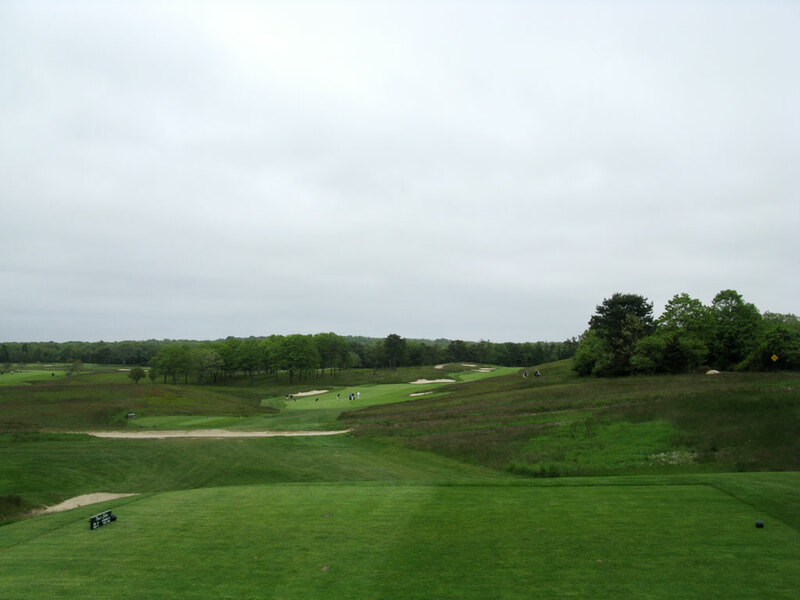 This is the most natural, beautiful, and difficult hole at Shinnecock.